DHA is an essential brain food that boosts neurotransmission, cognition, memory, learning, reduces brain inflammation, assists in the repair of and helps grow new brain cells. DHA (docosahexaenoic acid) is an omega-3 fatty acid. DHA is crucial for the healthy structure and function of your brain at all ages. DHA impacts your brain’s signaling systems, neurotransmitters, memory, learning, focus and attention. It helps reduce and even repair cognitive decline. The famous Framingham Heart Study followed-up with 899 men and women who were free of dementia. Subjects had a median age of 76 years. And were followed for 9.1 years for the development of dementia and Alzheimer’s Disease. BDNF. Brain-derived neurotrophic factor (BDNF) is your brain’s growth hormone. DHA has the ability to turn on your brain’s BDNF. Neuroplasticity. DHA helps your brain build new neural pathways. Critical for maintaining a healthy brain. And optimizing neural signaling and cognition. Neuroprotection. DHA acts as an anti-inflammatory by reducing the enzyme COX-2. Inflammation is a key factor in both Alzheimer’s and Parkinson’s Disease. And in every other neurodegenerative disease. How does DHA Work in the Brain? DHA vs. EPA: What’s the Difference? DHA (docosahexaenoic acid) is an omega-3 fatty acid. Your brain is made up of 60% fat. And much of that fat is DHA. Your body does not make DHA on its own. So you must get it from food or a supplement. And if you are a vegan, you are at serious risk of a life-threatening DHA deficiency. 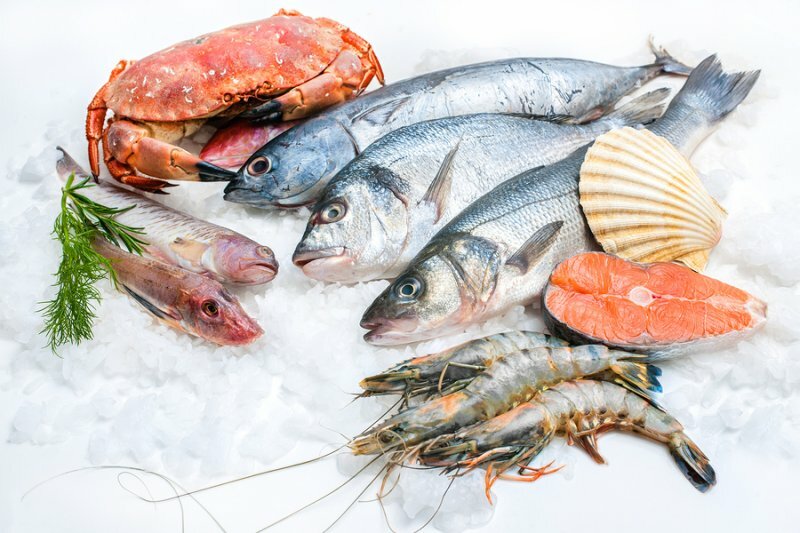 Foods that are rich in DHA include fish, fish oil, Krill and other crustaceans, and algae. But fish do not make DHA. Fish and other marine predators get it from smaller fish and crustaceans that feed on algae. It’s the algae that have enzymes to produce DHA that we need to remain healthy. DHA from eggs and some dairy products only supply about 20 mg of DHA per day. DHA is essential for maintaining brain health, memory and learning functions. DHA reduces brain inflammation, stimulates new nerve cell growth, and assists in brain cell repair. Your brain is composed of 60% fat. 15 – 20% of your cerebral cortex is DHA. Even the retina in your eyes is 30 – 60% DHA. Making DHA the most essential nutrient for eye and brain health. The highest levels of DHA are found in phosphatidylserine (PS) and phosphatidylethanolamine (PE). 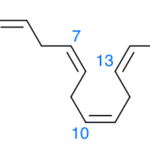 [ii] Lower levels are found in phosphatidylcholine (PC). PS makes up about 70% of neuron tissue mass. It helps in the storage, release and activity of neurotransmitters and receptors. PC also makes up part of the neuron tissue mass. And helps in maintaining cell structure, fat metabolism, neuron signaling and the activation of a number of enzymes. And PE is part of neuron cell membranes. PE is involved in cellular signaling. PS, PE and PC are called phospholipids. Together they alter the fluidity of cell membranes. Changing the fluidity of cell membranes alters their permeability and protein activity. And influences cellular signaling. Made up largely of DHA, these cellular membranes regulate entry into the cell, and control neuroreceptor function. Which facilitates cellular communication between, and within cells. DHA also reduces inflammation by regulating proteins and enzymes within cells. And boosts the production of anti-inflammatory compounds that protect cells. DHA maintains the activity of certain enzymes that control electrical signaling between cells. And it regulates the brain cell concentration of PS which is vital for cell survival. And DHA regulates calcium oscillations, which are involved in neurotransmitter release, mitochondrial function, gene activation, oxidative stress and brain cell development and growth (BDNF). Most medical authorities and scientists agree that Omega-3 oils are important for good health. Omega-3’s boost brain function, decrease inflammation, reduce the incidence of fatal heart attacks and strokes, help autoimmune diseases and improve vision. We have general agreement about the health benefits of Omega-3 oils. But few appreciate the difference between DHA (docosahexaeonic acid) and EPA (eico-sapentaenoic acid). The ratio of DHA and EPA varies a lot in commercial Omega-3 supplements. Most have higher concentrations of EPA to DHA. Mainly because it’s cheaper to manufacture, and have less of a fishy odor. But studies show that most of the brain health benefits of Omega-3’s are derived from DHA rather than EPA. One study in Chicago followed 815 residents from 1993 – 2000. Study subjects were between 65 and 94 years. 131 study participants developed Alzheimer’s Disease. Those who ate fish at least once a week had a 60% less risk of Alzheimer’s compared to those who didn’t eat fish. From reviewing the “How does DHA Work in the Brain” section of this article, you can imagine that when things go bad with DHA – they go really bad. Fish and marine oil supplements like krill oil are a direct source of DHA and EPA. Plants contain another Omega-3 called alpha-linolenic acid (ALA). Technically ALA can be converted to DHA and EPA. But most modern humans lack the ability to convert plant sources of Omega-3’s into all the DHA our brain needs. Not having adequate levels of DHA in the brain cause things to break down. If the inadequate intake of DHA goes on for a while, disease starts to set in. Including neurodegenerative diseases like Alzheimer’s and cancer. DHA makes up much of the gray matter in your brain. It’s an integral part of cell membranes and making them function. Your brain is 60% fat. And a large part of that is DHA. 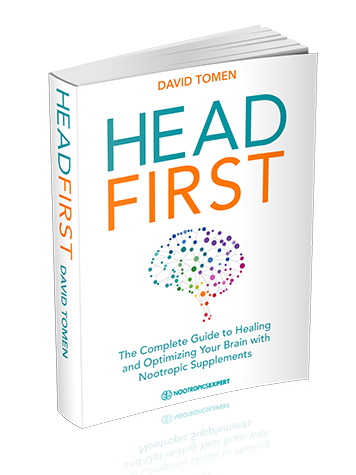 The good news is; degenerative conditions can not only be prevented by adding DHA to your nootropic stack. It can also be reversed. In another double-blind, placebo-controlled trial, scientists worked with 49 women aged 60 – 80 years. One group received 800 mg per day of DHA for 4 months. Chances are when you start using DHA you won’t feel it. There’s no profound stimulant feeling. But if you suffer from chronic depression, within a few weeks you should feel the depression lift. After supplementing with DHA for a while your cognition will be better. You’ll think clearer and quicker. Your memory and ability to learn will improve. And you’ll likely have more energy and motivation. But it is very likely you won’t think to attribute these improvements to adding DHA to your stack. Something else will get the credit. DHA is crucial for an optimally functioning brain. The goal of every neurohacker. DHA impacts your brain’s structure, signaling systems, neurotransmitters, memory, learning, focus and attention. In a study with 41 university students in Japan, scientists compared a high-DHA diet (1.5 grams/day) with placebo. This was recorded over 3 months to see the effects of hostile responses. The researchers found a 27% incidence of hostile answers in the placebo group when nothing extraordinary was going on. And hostile responses rose to 92% during final exams. As the brain ages, there is an increase in membrane rigidity. This causes changes in synapses resulting in a decrease in transmitter release. Long-term potentiation is affected which impairs the development of memories. Several studies have shown that DHA can support healthy levels of these neurotransmitters. In one study with aged rats, researchers restored neurotransmitter release in the hippocampus. And reversed age-related memory problems. Some of these receptors communicate inside cells when stimulated by glutamate, serotonin and acetylcholine. [x] The numbers of these receptors can be increased by you, by adding DHA to your nootropic stack. 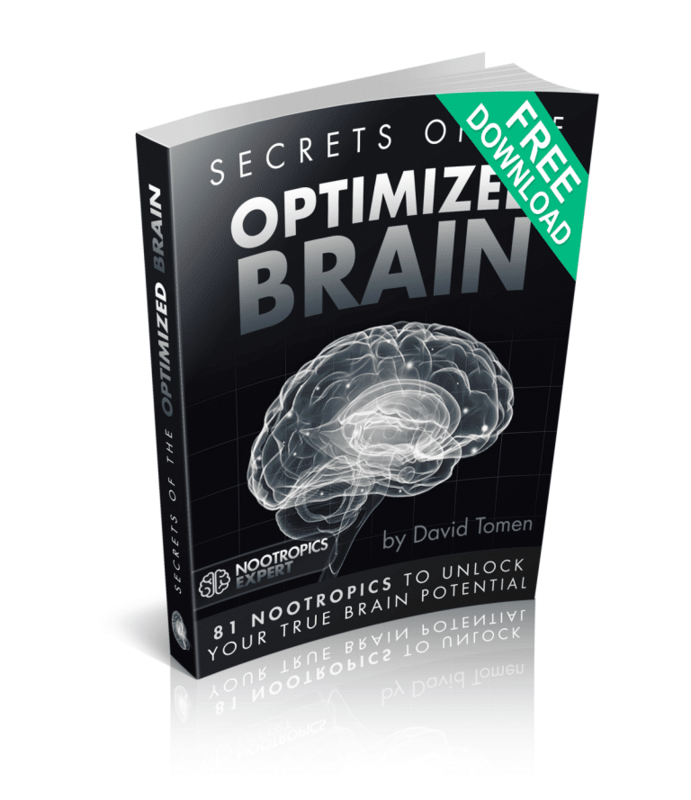 So if you are using nootropics that affect things like acetylcholine, serotonin, dopamine and serotonin in your brain. 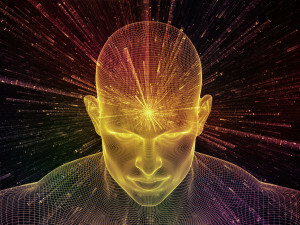 It would be wise to add DHA to your nootropic stack. And ensure you get the most bang for your investment in nootropics. Recommended daily dosage of DHA is 1,000 mg. Fish oil supplements vary in ratios of DHA to EPA. Salmon naturally contain more DHA than EPA. A supplement from algae may contain only DHA. Krill oil has both DHA and EPA. So read the labels. And whatever supplement you get, make sure you end up with at least 1,000 mg of DHA. Most brands of fish oil have been proven safe, and free of mercury. And do not contain unsafe levels of PCB’s (polychlorinated biphenyls). To further avoid the contaminants in an unrefined supplement, choose a fish oil supplement made from small, oily fish like anchovies, sardines or menhaden. And check the labels carefully for purity. Ideally, get one of a few supplements now available that are pure, refined DHA only. With no EPA. Fish oil capsules commonly have both DHA and EPA. Capsules with EPA are not recommended for infants or small children. Because they upset the balance between DHA and EPA during early development. This also applies to pregnant women. Fish oil could cause minor side effects like loose stools, upset stomach and belching. Fish oil may lower blood pressure. So if you already take a medication to lower blood pressure, make sure you talk to your doctor first. If you’re supplement contains EPA, it could interact with blood thinners and increase bleeding. Same is true for aspirin. But this is not true of DHA. DHA-only supplements do not thin the blood. Fish oil supplements may lower blood sugar levels. So be careful if you’re on diabetes medications. Omega-3 fatty acids may reduce some of the side effects of cyclosporine which is used to stop rejection after an organ transplant. Fish oil capsules. Which usually have both DHA and EPA. Some makers now offer capsules that are pure, refined DHA only. DHA from algae. Which has no EPA and is vegetarian friendly. DHA (Omega-3) 1,000 mg per day. We recommend using DHA as a nootropic supplement. Your body does not make DHA on its own. So you must get it from food. Or take it as a supplement. DHA is one of the most important nootropics you can add to your stack. Your brain is 60% fat. And much of that fat is DHA. DHA is critical for brain cell repair and regeneration (neurogenesis). And it is an integral part of neural signaling. Both between neurons as well as inside brain cells. DHA has an effect on critical neurotransmitters and neuroreceptors. It is a powerful anti-inflammatory. And is involved in neuroplasticity. Hundreds of studies on Omega-3’s and DHA show benefits in preventing and even reversing neurodegenerative disease. It’s best if you find a supplement that is pure DHA. And you can safely take 1,000 mg per day. What is your opinion of fish oil “experts” who claim that you can only process around 4mg of Dha a day and that it it has a very long half life, if I recall correctly, up to a year? These same “experts” of course recommend a very high epa fish oil. In my humble opinion, they are NOT fish oil experts Joseph. Your brain is made up of about 60% fat. Most of it is DHA and is found primarily in the gray matter in your brain. And assigning a “half-life” to DHA doesn’t make much sense to me considering that it’s permanently part of my brain. And if there’s not enough I die. Dr. David Perlmutter who wrote “Brain Maker” and who is an expert on brain and cognitive health recommends 1000 mg of DHA daily. It’s what I use and I can feel the difference. If I miss supplementing with DHA for 3 days, my thinking in not nearly as fluid. And things just feel off somehow. Our bodies use EPA to improve blood flow and improve overall brain function. But our bodies convert DHA to EPA naturally (http://www.ncbi.nlm.nih.gov/pubmed/9076673). So to me, it makes more sense to supplement with pure DHA. I have been taking Nordic Naturals DHA, which has 480mg of Dha and 205mg per 2 capsules and I take 4 a day. Is this 2/1 ratio clearly inferior to a pure DHA fish oil? Why is it better to use a pure DHA product? Does the EPA interfere with the efficacy of the DHA? If there is a compelling rationale to switch to a pure DHA I will happily do so! I don’t think a combined DHA and EPA supplement is “inferior” Joseph. But our bodies convert DHA to EPA as needed. So I choose to supplement with pure DHA. This is typically a more expensive option but not absolutely necessary. As long as you’re getting 1000 mg of DHA per day. which pure DHA product do you take? I use Nature’s Way EfaGold Mega-DHA which has 1,000 mg of DHA per 2 capsules. Or Carlson Super DHA which also has 1,000 mg of DHA per 2 capsules. Both companies have a good reputation for purity. Both are regularly tested by 3rd party labs for heavy metals and other toxins. I just started taking Carlson’s Super DHA, 3 per day, and I am amazed at the results! I immediately noticed a mood boost, clearer thinking and my eyesight became noticeably sharper! I won’t pretend to be immune to a placebo effect, but I am virtually certain the effects are real. What do you think? Is is considered possible to get such results virtually overnight? It’s a very real possibly to get rapid results from therapeutic doses of DHA Joseph. Many are surprised at how DHA affects vision. The rods and cones of the retina are rich in DHA. So supplemental DHA directly affects photoreceptor activity of retinal cells. DHA is directly involved in boosting BDNF which helps new neural networks develop for learning and memory. DHA also has an effect on the neurotransmitters serotonin, norepinephrine, acetylcholine, glutamate and dopamine. Affecting mood, cognition and memory. Thanks for sharing your experience with DHA. Hopefully more will see this and add DHA to their stack. with my regular fish oil. Should I break them up a bit? Barb, you can divide your dose throughout the day. Or you could see if you really need the other fish oil supplement your currently using. Either way, dividing doses throughout the day is always a good idea. But anything that has a stimulant-type reaction should be used before noon. I have been taking nordic natural fish oil which has total of 970mg dha & *400 mg eha. I feel tired with a slight headache. I actually felt better with the nordic natural that had only 450mg dha. I don’t understand why I feel worse with more dha??? James, great question and impossible to answer. DHA affects so many things in our brain including cells, neuroreceptors, and neurotransmitters. Is sounds like more DHA threw something out of balance in your brain. Go back to what works and mark this one off as an experiment. I do appreciate your report because someone else may experience something like this. And wonder if they were the only one. So thank you. I have read your article, what happens if you ingest more than 1000 mg dha per day? for example if you take 2200 mg? I do not like capsules so that’s why I take a drink. Murat, you should be OK with 2200 mg. But it depends on how your body responds to that dose. Some natural health practitioners recommend higher doses than 1,000 mg. Please read the “side effects” section of this post for possible issues. I have read your article, have a question for you. What happens if you take in around 2200 mg of DHA? is it too much? Murat, you should be fine with 2,200 mg of DHA. Worst that could happen is listed in the “side effects” section of this review. Okey thanks for your information. I am very bothered by forgetfulness and difficulty learning. Will it help with my studies? And career and so on. If I’m taking MEGA-DHA with spirulina or chia seed. is it consider as overdosage of DHA ? and there will be side effects? Nawaf, it’s difficult to overdose on DHA or fatty acids. The worst that can happen is gastrointestinal problems. I’m allergic to seafood/fish so the typical DHA supplements aren’t an option for me. I current take DEVA Vegan Vitamins Vegan DHA (Algae) 200mg Vegan Softgels. However, it has carrageenan in it. I have CFS and colitis and have been told carrageenan can exacerbate these. Do you have any suggestions? Also, I’m not sure if you have a section for CFS (I’ve read and have most of the things listed under your suggestions on motivation and energy) but what are your thoughts on D-Ribose as a nootropic? You are correct that carrageenan has been shown to aggravate chronic inflammation. And it needs to be avoided. I will be writing about D-Ribose later this year. It is a key component to producing adenosine triphosphate (ATP) that fuels your mitochondria. And is a powerful nootropic for energy and relief from chronic fatigue syndrome. have a question for you, which is better? At Nature’s Way EfaGold you still have 400 mg of EPA. 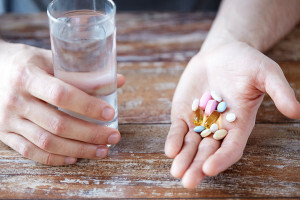 Do I have to take EPA daily? Murat, I prefer Nature’s Way Mega-DHA because I know they test the heck out of their products before selling them. And your body does need some EPA. I’ve no personal experience with Carlson or Madre Labs. But one reason I would NOT use the Carlson product is because it does not contain any EPA whatsoever. And we need some every day. From the comments above I take your meaning that a DHA rich supplement MUST have EPA as well? If so what ratio? Here in the U.K. it’s difficult to get pure DHA only anyway. But I’ve found 2 companies. There is one other company which sells a supplement which has 2,400mg DHA and 750mg EPA and a total of 3575mg Omega 3 in a 5ml spoonful. Is this any good? Hami, our bodies need EPA for reasons which I won’t go into here. The problem with most Omega-3 supplements is the ratio (esp. for brain optimization) is far too much in favor of EPA. So no, you don’t need a ‘pure’ DHA supplement. The goal is to find an Omega-3 supplement with a higher ratio of DHA/EPA. For example, I like to use Nature’s Way Mega-DHA which is 50% DHA/20% EPA. One dose of two capsules is 1,000 mg DHA and 400 mg EPA which I take daily and it works well for me long-term. The supplement you mentioned with 2,400 mg DHA is a little high according to my research. The ratio for brain health should be OK. But I’d keep the dosage at around 2.5 mg for that supplement. What is the name or your link to “review of a new Omega-3 supplement made using algae” you wrote about? Or Calamarine what has 500mg DHA and only 50mg of EPA in one soft gel. As EPA is blood thinning to avoid to much blood thinning when other nootropic supplements as Vinpocentine and proanthocyanidins (pine bark extract or grape seed extract) are also taken. What is your best choice of DHA and avoid EPA thinning effect. Wim, DHA made from algae is likely the best choice because it’s the ‘purest’ source and sustainable. DHA from squid is another good choice for similar reasons. The ratio from Calamarine seems a good choice if you are concerned about blood thinning because of the ratio of DHA to EPA. Let us know when you find a reputable supplement manufacturer who uses Calaramine as their Omega-3 source. I haven’t yet written a review for an Omega-3 made using algae. The product I have in mind has not yet been released. But as soon as it is I’ll put a link to it in this review. I found both forms : Calamarine and DHA are individual available via Doctor’s Best. Strange if you add extra triglyceride via this form ? Ethyl ester form and during the molecular distillation process potential contaminants are removed from the fish oil. I don’t know who test them as you mentioned for purety. So maybe the algae form to be more free of Mercury. But then what about the triglyceride adding via this supplement ? Wim, Doctor’s Best is normally a reliable supplement maker. But check out the label for “Doctor’s Best DHA” made from algae. It includes; modified corn starch, glycerin, sunflower oil, carrageenan, sorbitol, natural flavor among other stuff that has no place in a quality supplement. They should be ashamed of themselves. The other one, Doctor’s Best Calamari DHA contains only ‘natural lemon flavoring, the gelatin capsule, and mixed tocopherols’. It would be nice if they detailed what the flavoring and tocopherols were sourced from. But it’s a cleaner choice by far. And they are not adding “triglyceride” to any of these. Omega-3 fatty acids are ideally in triglyceride form. Other forms include ethyl esters or phospholipids which are not as well absorbed by your cells as triglycerides. You would need to contain the company directly and ask them how they test their products. And ask them if they’ll give you a “certificate of analysis” for whatever batch and product number you order. Not sure if they’d give it to you. I will contact them and let you know there reply . Should it not be low for cardiovascular disease reasons ? But there they write about the “ethyl ester“ form. Does this mean the ethyl ester form is better to lower triglycerides level? Sorry , I see everything in mathematical way. And have trouble understanding this sum. Wim, it’s not going to increase triglycerides. It’s the form factor they’re talking about, and influences how DHA gets into cells. “Thank you for contacting us about Calamari DHA 500. The mixed tocopherols are derived highly refined soy, the natural lemon flavor is derived from Lemon oil California type and Meyer lemon. You are correct as our Vegan DHA contains modified corn starch, glycerin, sunflower oil, carrageenan, sorbitol, natural flavor. Excipients are used in small amounts during the manufacturing portion with each excipient serving a purpose. We feel that the excipients used are safe to consume and stand behind our products. what are the bad ingredients to avoid? Wim, personally I would avoid everything in that list with the exception of DHA. In my humble opinion, a DHA supplement should contain ONLY DHA and very likely a lower amount of EPA in a capsule. In this case it should be refined Calamari oil plus a capsule. There is no other practical reason for the consumer to include anything else. If you want or need “mixed tocopherols” then find the best Vitamin E supplement you can get. And use it as a separate supplement. Is it possible that DHA could make me feel worse, and it’s not right for everyone? It seems to do the exact opposite of what you would expect. John, it’s very possible you got a bad supplement. This has been an ongoing controversy with Omega-3’s, fish oil, and variations like DHA. A good portion of your brain is made of DHA. So it’s reasonable to conclude that supplemental DHA should be beneficial. The only way to be really certain that DHA is not for you is to find and try the highest quality, purest, use-review approved DHA supplement you can find. If that doesn’t help then you know DHA is not for you. I was using Nordic Naturals Omega3 softgel getting no change in my low mood. This time when I ran out I bought their Omega3 Liquid instead and have been taking a half teaspoon supplying 250mg of DHA twice a day. In only 4 days my mood has brightened and I actually feel happy! The question is should I continue working up to 1,000mg of DHA, or should I stay at the 500mg of DHA a day level? Why would the liquid work better, could it be my body was not breaking down the softgel? I am over 60 and I understand stomach acid drops with age, but the difference is extremely dramatic. I appreciate your thoughts on this, thanks! Aelxa, I think you nailed it in your comment. The aging body does not digest food or supplements as well so using a liquid would simply increase bioavailability. If 500 mg per day of DHA is working for you then you may have found your ‘sweet spot’ for this supplement. You could try increasing your dose to 1,000 mg of DHA per day and see how you feel just as an experiment. If you feel no difference then reduce it back to 500 mg per day. I’ve always had Fish Oil supplements in that range and seem fine, i tried a DHA supplement from Nootropics Depot it had 550mg of DHA in it, i got brain fog within 30 min, is that a common occurrence? Erik, brain fog from a DHA supplement is NOT a common occurrence. It could have been a bad batch of DHA. I suggest trying another manufacturer at the same dosage and see what happens. If it happens again then this may be the rare instance that high dosage DHA supplements are just not for you. I hope you’r fine and doing well. I a believer in DHA importance, and used it with range between 1000mg to 1500mg without issue. my problem is that I am taking a strange type, which is Dr.Best Calamarine. and EPA must be less 10 times or you will get a bad impact on all brain cell structures and walls. I am wondering about this claim? we agree that DHA is more important than EPA for mind and eyes health. 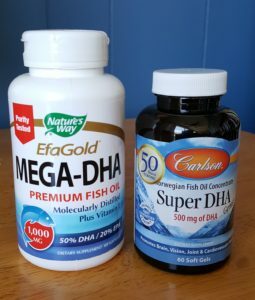 but we can take both of them in different ratio, Please I need a real evidence that increase EPA over DHA have bad impact. because I am thinking to shift to Life Extension Super omega fish oil, which include olive extract as well. this change I can’t do it if there is real evidence from trusted source ensure and confirm that DHA must be in more ratio than EPA. Faisal, see this section of the above review first: https://nootropicsexpert.com/dha/#dha-vs-epa-whats-the-difference. And click through to the study done in Chicago on their conclusion. Plant-based oils like Olive Oil provide alpha-linolenic acid (ALA). And technically ALA can be converted to DHA and EPA. But most modern humans lack the ability to convert plant sources of Omega-3’s into all the DHA our brain needs. The body does require a certain amount of EPA along with DHA. But for brain health and cognition, DHA is most important. I’ve been enjoying all your articles and videos. I thought I should call your attention to the TEDxEmory talk by Dr. Steven Ilardi, who said that EPA rather than DHA was effective for treating depression. (https://www.youtube.com/watch?v=drv3BP0Fdi8) Is his book “The Depression Cure” he recommends fish oil with twice as much EPA as DHA. I suspect that the composition of EPA and DHA may need to vary based upon the effect you are trying to achieve? Ron, I think your concluding remark is sound based on some of the recent research I’ve seen. But if you re-read this review it’s clear that DHA is integral to the makeup of brain cells. And not EPA. So some of this doesn’t make sense logically and no one has offered an explanation of the pharmacology or mechanism of action involved in the brains of subjects. 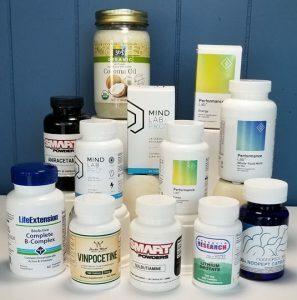 One thing I’ve learned about many of these clinical studies on ‘natural’ nootropics – what exact supplement did they use? How pure was it and how much was used? The other thing you keep in mind is nearly all clinical studies are done with sick people. So all we can do is extrapolate a conclusion from a study on how effective a supplement could be in a reasonably healthy person. Should I cycle DHA? Or I can take it every day? No need to cycle DHA. Your body needs it every day. Hi David great write up! In the article you mention “The highest levels of DHA are found in phosphatidylserine (PS) and..” Every study i’ve read states that DHA is combined with PS to build phospholipids (therefore you still require a DHA source as it is not provided by PS). Could you re-check if this is true?